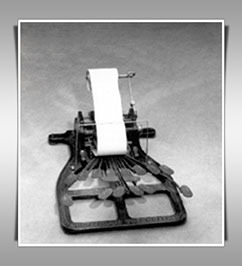 Miles Bartholomew invented the first successful shorthand machine in 1877. Improvements were later made to the machine and patents were obtained for it in 1879 and 1884. 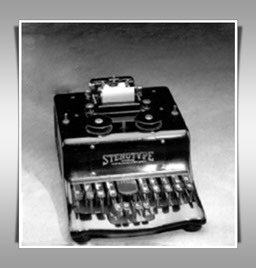 It was manufactured by Bartholomew's company, the United States Stenograph Corporation of East St. Louis, Illinois, and was used as late as 1937 by official reporters. The ten keys could be depressed one at a time (a letter at a stroke) to create a series of dots and dashes, much like Morse code. A native of Belleville, Illinois, Bartholomew was an official court reporter and is considered the "Father of the Stenograph." 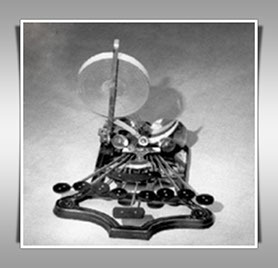 The Bartholomew Stenograph was the first machine to attain a degree of success in the reporting field. Many machines were manufactured and some schools taught its operation. The venture was not a financial success, however, but Bartholomew remained supportive of machine shorthand. In 1883, he wrote, "The old prejudices against machine stenography are giving way to confidence in, and acknowledgement of, its superiority over the pen, and the tide of public favor is raising rapidly in the front." Developed by George Kerr Anderson, this shorthand machine had the first keyboard that allowed two or more of its keys to be depressed simultaneously. Anderson's invention also used English characters instead of the code that the Bartholomew machine created. With this machine, words or syllables could be written on each stroke, a significant advancement in shorthand machine technology. Anderson began development of his machine with renovations of the typewriter, but later abandoned the one-letter-at-a-stroke concept to develop his shorthand typewriter. Although Anderson's attempts to commercialize this machine did not meet with success, the machine was famous for being used to report President McKinley's inaugural address. This machine was produced commercially by The Universal Stenotype Company, owned by Ward Stone Ireland. It weighed 11.5 pounds, considerably less than its predecessor, which weighed 54 pounds! The Ireland Stenotype machine was the first practical machine with a totally depressible keyboard. The ability to write words phonetically and numbers at a stroke produced the greatest output with the fewest strokes. The efficiency of the machine was proven at the 1914 National Shorthand Reporters Association speed contest in which nine machine shorthand trained teenagers consistently won against 30 seasoned professional pen writers with up to 99.30 percent accuracy. This helped propel machine shorthand into the mainstream. Business colleges hailed this new marvel and began including its instruction in their curriculums. As a teenager, Ireland studied shorthand in the evenings while going to school. He took a job in Texas as a court reporter and was later appointed official reporter for the Panama Canal Commision before fulfilling his dream of developing his writing machine, the Ireland Stenotype. This machine weighed six pounds and was widely taught and used. It was manufactured by The Universal Stenotype Company, which was forced into bankruptcy at the end of World War I because of a defaulted government munitions contract. During this difficult time, many companies manufactured munitions for the war effort and, like The Universal Stenotype Company, were unable to collect on the inventories after the war ended. This caused them to go bankrupt. After this bankruptcy, Ireland opened a new shorthand machine company that survived briefly but failed. Later, he was credited with other inventions including washing machines and commercial refrigeration. 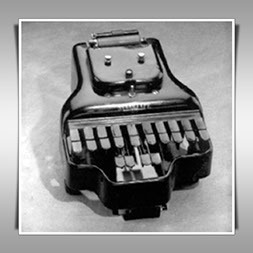 This was the first Stenotype (made with the Ireland tools) to be used at LaSalle Extension University (1927). It was also called the "Master Model Four." Green in color and later in smooth black, this machine used a two-spool ribbon system and was known as the LaSalle Stenotype. 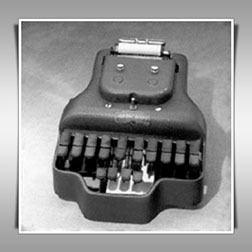 After wide-use it was replaced in 1949 by a machine made for LaSalle by the Stenograph Company. 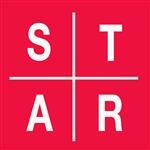 This company was run under the direction of M.H. Wright, who hired many of the original shorthand operators from the 1914 NSRA contest to help him. The 1929 stock market collapse and Great Depression, however, cut short the life of this company. As hard times fell all over the world, the court reporting profession slowed to a snail's pace until the end of the 1930's. 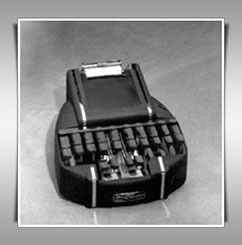 The Secretarial Model shorthand machine was the first to carry the trademark Stenograph name. It used a single, endless, 11-inch ribbon. 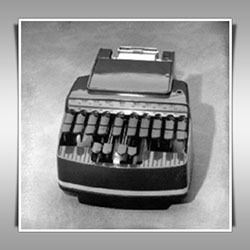 The Secretarial model held 100 folds of paper; the Reporter model 300 folds. It had a positive clutch for dependable, silent paper advance, and a Magnesium shell. Robert Wright was born in 1905. He graduated with a Physics degree from Carleton College in Northfield, MN. After graduating, he worked as an engineer on the development of sound to movies, the first automatic transmission for General Motors, and inexpensive home air conditioners. He also worked at servicing Stenotype machines and teaching Stenotype on weekends at LaSalle Extension University where his father was President. While attending Northwestern University Law School to become a patent attorney, he refined the design of the Ireland writer and was granted six original patents. He gave the machines and patents to his father. The patent for the Ward Stone Ireland machine/keyboard expired in 1933 and was made available to LaSalle when they purchased The Universal Stenotype Company. Since then, Stenograph has only used the Ireland keyboard. M.H. 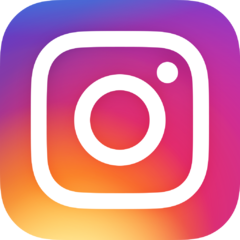 Wright eventually turned over the company to his son, Robert, who led Stenograph Corporation for many years. He was still involved with Stenograph until his death in 2000. This Stenograph machine encoded a magnetic tape with machine notes for computer transcription. The first model was developed in 1963 with a cable connecting to a separate tape recorder. By 1970, a cartridge was used, replaced in 1974 by a cassette. It used organ-type switches for each key to assure positive contact and transmission with minimum pressure on the keys.